This week, we have C.J. Pearson VS Bibi Netanyahu. What did they do? They are on the BIG BAD list of people who dared to criticize King Obama. Let’s start with the obvious: Obama is making a secret deal with Iran, and in typical dictator fashion, he refuses to let anybody see the deal he is making, but word is, it’s a lousy deal. 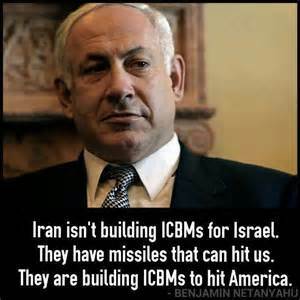 Obama who believes it’s Iran’s civil right to have nuclear capability, is making that happen. And so what did Bibi do to piss of an American President? He dared to say, that he intends to protect his country and that Obama’s deal with Iran will endanger Israel to possible nuclear attack. In fact, it’s a certainty. 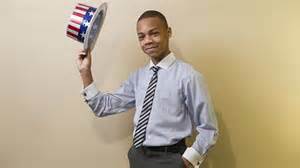 And then there’s the 12-year-old C. J. Pearson who became an internet sensation when he put his very impressive thinking on Youtube. He said that he didn’t believe that Obama loved the country. And for that…he got kicked off Facebook. So who wins the Nobody’s Perfect Award for the week? Was it Bibi, who dared to try to warn the world that Obama was about to commit treason, not only against an ally but against his own country? Or was it C.J. Pearson, who dared to criticized King Obama for being such a putz? And why him? LOTS of videos grace Facebook saying a lot of bad things about Obama. Could it be…it’s because he’s black? And other young black men are listening? Obama. For being the most treasonous President ever to walk the halls of the White House. May Sam Adams throw some tea down on his tyrannical head. OR maybe—- it should be Facebook. It’s can’t hurt your brand when one of the richest men in the world basically gives their endorsement to you with a smile. Of course, If Hillary becomes President, then the Keystone pipeline will remain just a republican dream, and Buffets trains, will keep the money flowing. In the meantime, he wants us all to believe that he lives on Coke and ice cream…so we will all run out and buy Coke and Dairy Queen. AND, if you, like many Americans, watched the 13 episodes of this year’s season of House of Cards, you will see the perfect timing for Hillary to announce her candidacy. 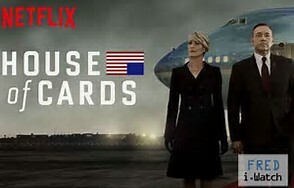 Next year, going down to the wire, the next season of House of Cards will have Clare Underwood going after the office of the Presidency, in which she will lift woman’s wages, get all American jobs, give gays more rights, and become the format for which all Americans will run to the voting booths and vote for Hillary! That’s the one thing Jeb Bush doesn’t have..is Hollywood’s House of Cards.